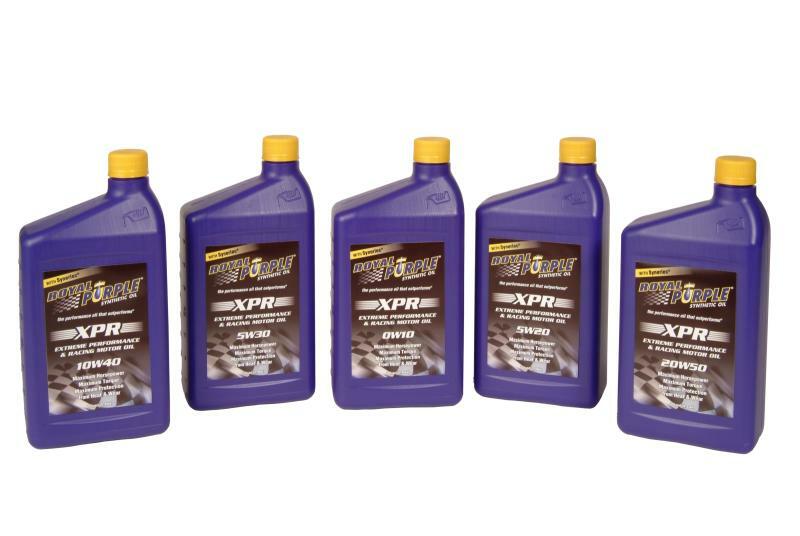 Royal Purple’s XPR (Extreme Performance Racing) synthetic motor oil is specifically formulated for the demands of multi-platform racing environments. XPR is popular in a variety of motorsports including: NASCAR, NHRA, World of Outlaws and Bonneville Salt Flats. XPR combines the highest quality of synthetic base oil with Royal Purple’s proprietary Synerlec® additive technology and additional performance enhancers that maximize horsepower and torque while providing the highest level of protection against motorsports-grade heat and wear. XPR synthetic motor oil provides more protection than leading synthetics and conventional lubricants including those combined with aftermarket additives. is our lowest viscosity engine oil designed for the most competitive classes such as Pro Stock, Pro Stock Bike, Comp Eliminator and NASCAR Cup (qualifying). The ultra-low viscosity provides the most horsepower possible by keeping parasitic losses to an absolute minimum while providing unparalleled protection. is an ultra-light viscosity motor oil formulated for gasoline engines used in drag racing, motorcycle sprint racing, etc. is a light-viscosity motor oil formulated to withstand exotic fuels such as alcohol, methanol and nitrous oxide (NO2). This blend is excellent for drag racing. works well in a variety of applications, from oval track late models to bracket racing. 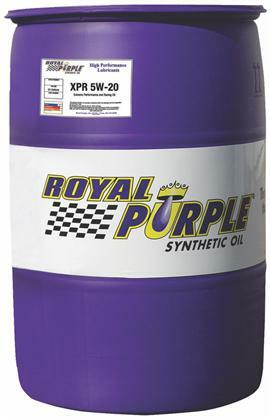 This synthetic motor oil blend is extremely versatile and produces excellent horsepower while preventing wear. is designed for marine, oval track and endurance car racing. Capable of withstanding long intervals of extreme heat, it works especially well with alcohol and methanol and is extremely popular in sprint cars, late models and World of Outlaws racing. is formulated for running extended periods under extreme pressure and heat. It is used in oval track, marine and drag racing and is very popular in sprint cars, late models, truck pullers and bracket racing.